On Sunday evening I participated in Scrapy Land's online crop - I completed one layout & played along with a few trivia challenges!! 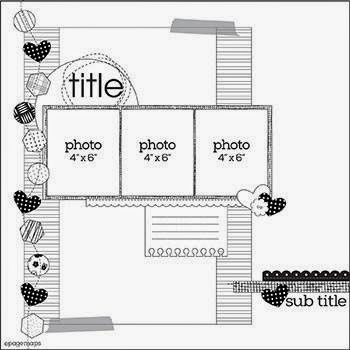 This layout adds to my challenge to complete 50 layouts ... this marks layout #20 of 50 since Feb. 8th when I started scrapping again! Love being on a creative roll!